Custom design and development from the ground up using WordPress. 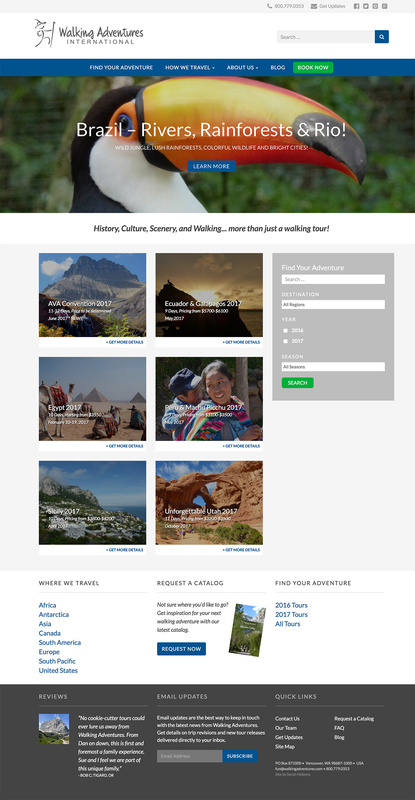 Custom functionality and organization for adventure section of the website. Initial design in 2012 and major redesign in 2016.